Learn the 5 P's for Principles of Exercise Design. Learn through review exercise terminology including agonist/antagonist, assistor/stabilizer, and isotonic/isometric. 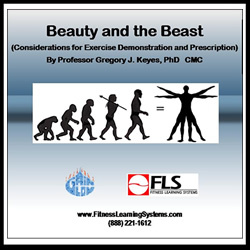 Understand through review several exercise concepts including muscle balance, posture and body alignment, pace of exercise execution, variation of exercise, and the F.I.T.T. principle.